The US pre-season tour is now over and against what many had expected, it didn't go very well. 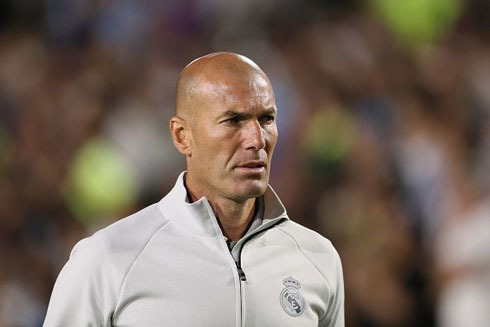 Real Madrid leave the United States without a single win in regular time after going through a total of 4 friendlies against Manchester United, Manchester City, Barcelona and an MLS All Star side. Gareth Bale and Karim Benzema have been practically non-existent save for a few nice touches in a couple of games. 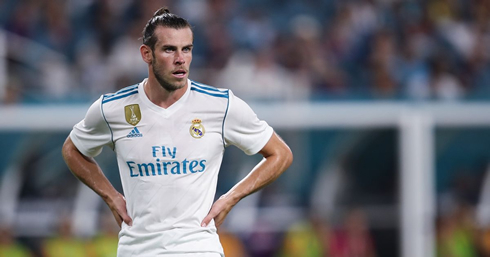 Bale was admittedly far better during his outing last Wednesday vs the All Stars, but still failed to produce a goal during a few opportunities. Benzema, on the other hand, has been as usual slow, tepid and wasteful self. There doesn't seem to be a clinical bone in the Frenchman's body anymore. He delays every chance he gets until defenders fall back into space and he has to score a far harder goal from a far harder angle. Quite frustrating to watch. At least with Ronaldo around, Benzema tends to release the ball to the Portuguese player and goals come flying. There was a bit more to be hopeful about in other areas, however. Marco Asensio looked fantastic and seems ready to make another leap this season. In the absence of Ronaldo, Asensio at times looked like the alpha dog of the side making darting runs into the box and looking dangerous. A great sign to see. Another standout was Mateo Kovacic. He'll be remembered mostly for his goal vs Barcelona, but he was fantastic all preseason. His running from midfield was enticing and he seems ready to make the next step forward too. Hopefully, Zidane gives him a lot of playing time. The new and returning players were also interesting. Marcos Llorente is the real deal. We saw it last year with Alaves, but seeing it in a Madrid shirt is even more special. He is such a crisp passer of the ball (better than Casemiro in that aspect) and he has great timing and covering skills in defense. Dani Ceballos showed some flashes as well, a few of his shots were quite close to scoring and even on Wednesday he played a nice through ball to Borja Mayoral for his goal. Speaking of Mayoral, despite his goal and his "MVP" award last night, it's clear he is far from being ready to be our backup forward. Madrid will need to dip into the transfer market to secure the position or we could be in for a rough season. Lastly, Theo and Jesus Vallejo both looked decent in defense. Theo looked a bit comfortable and he'll serve as a fantastic foil for Marcelo. Jesus will have a harder time filling in for Pepe however. The young Spaniard is certainly very talented, but he's a bit nervous at times and his first full season in La Liga will certainly be a rest. In goal, Keylor Navas was fantastic - no worries there. In less than week now, Real Madrid will play Manchester United in the UEFA Super Cup and honestly, it will be quite the challenge based on current form. 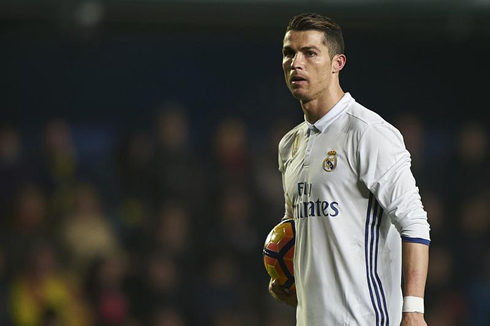 Ronaldo likely won't be playing in the game as well, so it's a challenge to see where the goals are coming from. But at least no one has been injured so far and we can go into the season with the full squad. However, based on performances, it's a squad that may need some improvement. Cristiano Ronaldo next game is for the UEFA Super Cup on August 8 of 2017 against Manchester United. 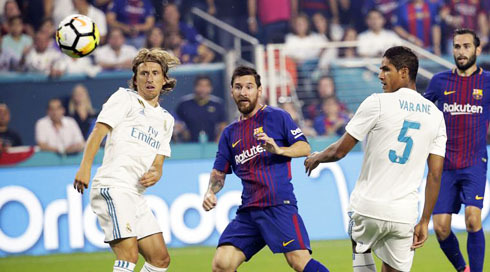 You can watch Juventus live stream, Real Madrid vs Manchester United, Barcelona vs Chapecoense, Liverpool vs Athletic Bilbao, Tottenham vs Juventus, and Borussia Dortmund vs Bayern Munich, all matches provided from our soccer live game pages.